Specialist decorating with ecological consideration. From preparation to finish. I am based in West London and have over 30 years experience in a wide variety of paint finishes. 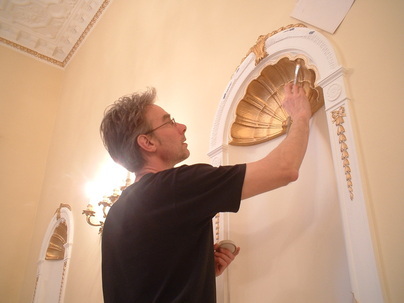 My expertise originated in the boatbuilding industry in the '70s and ranges from flat paintwork, varnishing and glazing to specialist techniques, including gilding, trompe-l'oeil, marbling, dragging and graining, distressing and ageing. 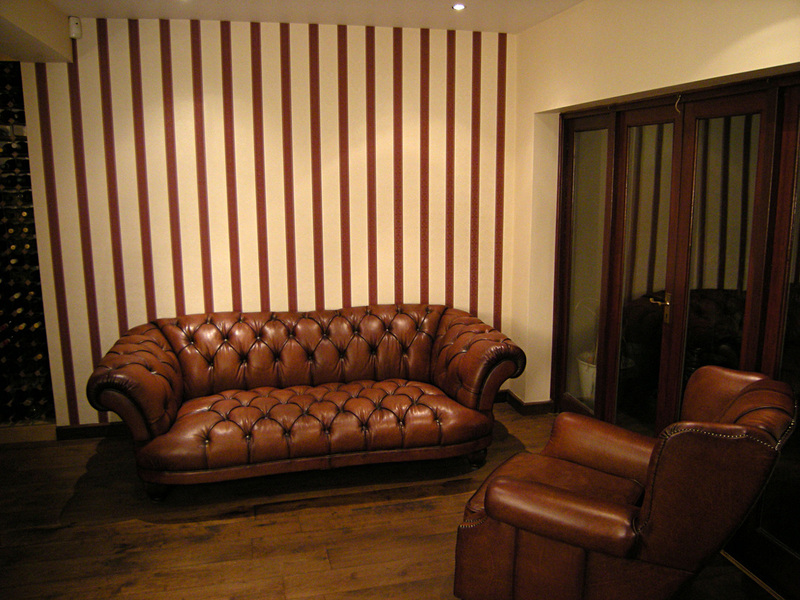 I specialize in interiors and bespoke fitted furniture. Water-based materials are used as far as possible, which are hard-wearing, provide faster drying times and produce no harmful fumes- ideal for children's rooms, bedrooms etc. Drawing on my diverse background in fine-art, gallery management and graphic design I also deliver a Scenic Painting and backdrop service for theatre, film and photography with recent scenic work in West End theatres. Murals are undertaken by commission. Creative/colour consultation service is included.